Mr. Lloyd is quite a gentleman, very compassionate when dealing with the passing of my uncle, understanding Not cold and uncaring like some of these places today when all others only see dollar signs, instead of a Loved one. I highly recommend Jason Lloyd Funeral Home!! The staff was professional, sympathetic, and accommodating. Again Thank you Jason and staff! My cousin did a BEAUTIFUL job on not only my mother Barbara Carter but also my auntie Peggy Skinner... He work with our time schedule... He was patience with us made sure that everything was too our liking... My mother look sooooooo beautiful and at peace I can't thank him enough.... AND I'M NOT SAYING THIS BECAUSE HE'S FAMILY HE REALLY CARES.. AND YOU CAN TRUST HIM TOO MAKE SURE YOU ARE HAPPY WITH HIS WORK. Now that I have taken a seat and gathered my thoughts I would like to take this time to say how blessed I was to meet Jason Lloyd almost two years ago when he provided my family and I with a great home going service for my Dad. On April 26,2017 my mom passed at home and I wouldn't have called anyone besides Jason to come and get my mom and prepare her home going service. Jason arrived at my home at 3am and made us feel like he was part of our family. I speak about his business just about everyday. I am still receiving calls and text asking who did I use. Jason I will definitely recommend you to all my family and friends. You and your staff were very professional from the first minute to the last. May God continue to bless you and your staff with continuous success. I can't thank you enough. Thank you, Jason, for providing the home going services my aunt wanted for my cousin. You are a blessing to all the families that choose you for their loved ones' farewell. Just wanted to give a huge thanks to Jason Lloyd and his staff for preparing my mom for her funeral and burial , I'm so glad my cousin Mike put us in contact with you. We were caught so off guard by her passing , and just our initial contact with you, your preparation of our mom. She looked so gorgeous , i remember walking in while you were putting another coat of polish on her nails, everything was just perfect and professional. Thanks so ,much ! Thanking you and your staff for your professionalism and courtesy extended to us as we buried my brother yesterday. May God continue to bless and keep you. Jason excelled in service and work. My husband was 74 and had suffered a devastating illness which caused weight loss of over 100 lbs. He looked like a skeleton when his body was removed from my home. Jason transformed him into a handsome, almost younger looking man. He was beautiful! Thank you so much for helping our family through a difficult time and giving my husband a wonderful home going celebration. Yesterday we said goodbye to my grandmother and we couldn't have asked for a better day, a better service or a better group of friends and family to celebrate her life with. Thank you all who made it out, or who just had us in your thoughts and prayers. These personal factors made the entire day run smoothly. I would also like to take this time to bring attention to the professional services provided by the Jason Lloyd Funeral Home. My grandmother looked so sharp and elegant in her layout and they went above and beyond to give us an experience that can go unmatched. Thank you! Arlene Vincent the obituary that you orchestrated was a masterpiece from start to finish. Thank you! Riehs Florist the flowers were beautiful and added the perfect finishing touch! Thank you! Our family at Berean Presbyterian Church, U.S.A. Thank you! Jason has provided his professional services for several of my family members, with the most recent being my baby sister last Friday, Markia Benson. Jason Lloyd is a true gentleman and a scholar! Very professional and compassionate! We love him and recommend him a 1000 times over!! Somber day in the GREGG family as well lay one of our QUEENS to eternal rest. My great-aunt Gloria Gregg has received her wings. Pamela Cross you did an amazing job sending your mother home. I love u cuzin!!!! Special thanks to Jason Lloyd Funeral Home for making my aunt look absolutely marvelous. Send one up for the Brown, Cross, King, Gregg family folks. Thanks for all your services Jason Lloyd. A job well done on My Nanny (Mrs. Deron Patterson). Today we laid my cuzzin cookie to rest , I got a chance to see family I haven't seen in so long. It was really good seeing you Felicia Williams, Tye Overby, Carlise Williams. My prayers continue to go out to Slim Capone Xistence and Ace Buck Johnson and Arlene German Pittman for the loss of your love on. Thank you Jason Lloyd funeral services for doing an amazing job! Mr. Lloyd I want to thank you on behalf of the family & friends of our dearly departed Esther Pittman; affectionately known as "Cookie". The Home Going service was Beautiful & Professionally catered to the needs of the family. You left no stone unturned to possibilities and you covered the hearts of her 2 sons her Mother...not excluding her siblings and all those who came out to bid her farewell. Your professionalism is unmatched in your BLESSED field of business. This and for many reasons is why we selected you...to present our BELOVED in her final presentation in this journey called life. May GOD continue to smile upon you...as you build on your gifts of supporting families thru such difficult times. Be BLESSED. I wanted to give a very special THANK YOU to Mr. Jason Lloyd... He and his staff did a PHENOMENAL JOB with my aunts home going service! Professionalism 5 stars.. Staff 5 stars ... Support 5 stars...Every person that buries a loved one would feel like they are the ONLY THING THAT MATTERS. truly 5 star customer service. We were truly blessed and we certainly appreciate MR. JASON LLOYD FUNERAL Home...until we need you again... KEEP ON SERVING GOD'S PEOPLE! I have had the privilege of working with Jason Lloyd and his staff at Jason Lloyd Funeral Home and as one who has worked with just about every funeral director in the region in my 38 years in the ministry, I must say that this brother is exceptional, does tremendous work, and is highly professional. Everyone at Jason Lloyd Funeral Home displayed great professionalism. There was also a true compassion delivered by everyone. I am so very grateful that we chose Jason Lloyd Funeral Home to finalize the homegoing celebration for our loved one. A place where you want your love one to be taken care of professionally with tender loving care. Jason Is The Best and such a Beautiful person and very Honest !!!!! Jason did a phenomenal job on my Grandmothers funeral. He really brings your heart to Peace!!! I just have to say my Grams looked like a peaceful Angel God Bless U Jason!!!!! Professional , caring staff relaxed environment and experienced quality services. Jason and his staff handled my uncle's funeral today. From start to finish they were most professional, compassionate and caring. It is nice to see the NEXT generation of funeral directors keeping the tradition of their predecessor's. New Gethsemane Baptist Church, Philadelphia, PA.
My aunt had such a beautiful celebration of life service today! A big thank you to Jason Lloyd Funeral Services and Tamika Patton for tearing the church down with your beautiful voice! Although this is by far the hardest loss that I've ever had, I find comfort in all of your prayers, thoughts and encouraging words....they were and continue to be needed! Thank you! Jason Lloyd, there are NO words to express my heartfelt gratitude and respect for your service, time and patience. Your attention to detail is impeccable. You made a difficult and sad experience bearable with your kindness, understanding and wit. The lasting impression you made on my family will never be forgotten. From the bottom of my heart, Thank You! I don't even know if there are words to adequately to describe Jason's professionalism and patience. The man made this process easier every step of the way and was a phone call away at all times. My family thanks you profusely. Thank you so much. 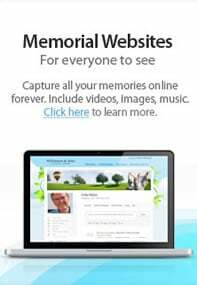 If you are in need of final arrangements for a loved one, look no further. Jason Lloyd Funeral Home should be your first and last stop. Jason is not only efficient in getting business done, but he is kind and compassionate. I am extremely pleased with the service received. Although I do not look forward to the time when I will need Jason's services again, I know that when that time comes I will be in good hands. Well my dad is finally at rest. I would like to thank everyone who took the time to pay their respects to my dad . Thank you Jason Lloyd for taking care of everything in such a professional manner, you are truly the best.